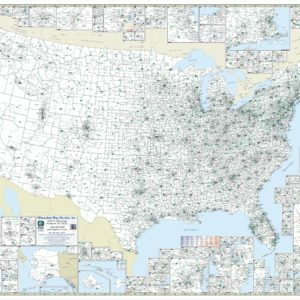 The 65×48 inch United States City County 3-Digit Zip Code Wall Map is a must for anyone needs zip code data for the entire United States. Laminated for dry-erase use. The United States City County 3-Digit Zip Code Wall Map is a must for the anyone in sales and marketing on a national level. Each map is printed in color with a laminated surface. This surface is both markable and washable. The map measures 65″ W x 48″ H and features all 3Digit zip codes and their boundaries for the entire USA. Other details included are cities and towns of a 5,000 plus population, state names and boundaries, and county names and boundaries. Special map features include insets of Alaska, Hawaii, and Puerto Rico; and insets of 46 cities in greater detail. 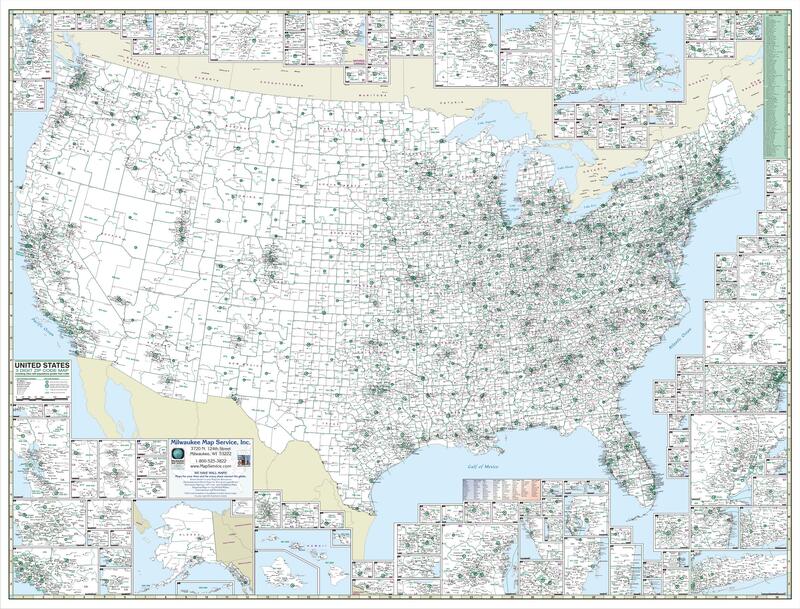 The most detailed 3-digit zip code wall map showing only states, cities and counties. Great tool for sales and marketing! Executive wooden rails, mounted top and bottom, are also available to complete this quality product. 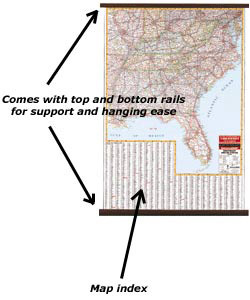 Framing Details All framed maps are first mounted to a heavy duty foam/cork board then sprayed with a professional protective coating to give your map an extra layer of protection from dirt, oils and moisture. Custom decorative framing and non-glare glass are available for special order on request. Please contact us for custom requests. If you want it, we can make it!! Email us at [email protected] with any questions.